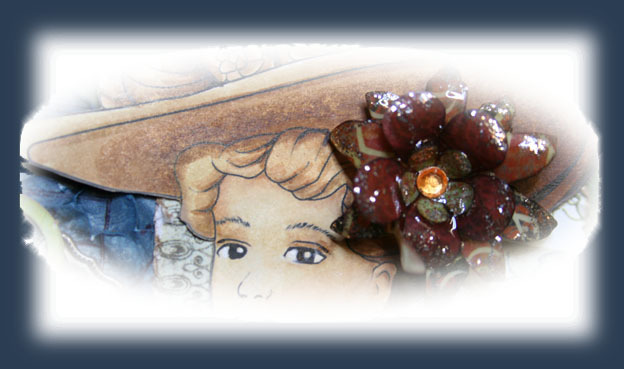 The current sponsor is Digi Doodle Shop and I've been working with the VintageHat&Girl from them. The image is colored with Copic Ciao. 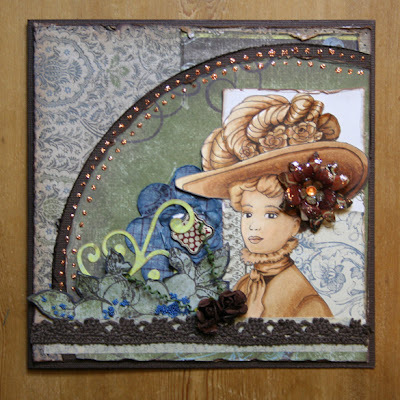 I am not familiar with styles as Vintage, Shabby Chic, Grunge etc, I mix them up, so I made a lot of distressing and the flower on the hat is made of punches and Uthee and the blue one is punches too; inked and stamped. Incy Wincy Design - #110 Make your own flowers. Beautiful card I love your flower!!! This is a stunning flower, love the gloss on it. Thanks for joining our 'make your own flowers' at Incy Wincy this week. By the way, I have candy if you're interested in entering! This is a lovely card hun, Your layout is lovely and compliments your image beautifully! !